Georgetown University’s Center for Applied Legal Studies will offer one lawyer a two-year teaching fellowship (July 2015 – June 2017). The fellowship provides a unique opportunity to learn how to teach law in a clinical setting. Fellows and faculty members at the Center work as colleagues, sharing responsibilities for designing and teaching classes, selecting students for the Clinic, supervising law students in their representation of clients, grading, and all other matters. To complete the degree, the Fellow must write a law review article of publishable quality. Fellows are encouraged to set aside time to work on scholarship. This Fellowship is particularly suitable for lawyers who want to embark on careers in law teaching. Most of its previous holders are now teaching law. Since 1995, the Center has specialized in asylum cases, and currently focuses on asylum claims in Immigration Court. Applicants must have at least two years of practice experience in U.S. immigration and asylum law. The Fellow must be a member of a bar at the start of the Fellowship period. The fellow will receive full tuition and fees in the LL.M. program at Georgetown University, and a stipend of about $53,500 in each of the two years. On successful completion of the requirements, the Fellow will be granted the degree of Master of Laws (Advocacy) with distinction. Recent holders of this fellowship include Andrea Goodman (1996-98), Michele Pistone (1997-99), Rebecca Story (1998-2000),Virgil Wiebe (1999-2001), Anna Marie Gallagher (2000-02),Regina Germain (2001-2003), Dina Francesca Haynes (2002-2004), Diane Uchimiya (2003-2005), Jaya Ramji-Nogales (2004-2006), Denise Gilman (2005-2007), Susan Benesch(2006-2008), Kate Aschenbrenner (2007-2009), Anjum Gupta (2008-2010), Alice Clapman(2009-2011), Geoffrey Heeren (2010-2012), Heidi Altman (2011-2013) and Laila Hlass (2012-2014). The current fellows are Lindsay Harris and Jean Han. To apply, send a resume, an official or unofficial law school transcript, a writing sample, and a detailed statement of interest (approximately 5 pages) by December 1, 2014. The statement should address a) why you are interested in this fellowship; b) what you can contribute to the Clinic; c) your experience with asylum and other immigration cases; d) your professional or career goals for the next five or ten years; e) your reactions to the Clinic’s goals and teaching methods as described on its website and f) anything else that you consider pertinent. 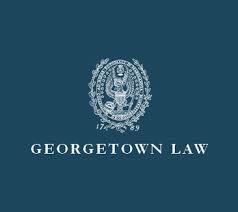 Address your application to Directors, Center for Applied Legal Studies, Georgetown Law, 600 New Jersey Ave., NW, Suite 332, Washington, D.C. 20001, or electronically to calsclinic@law.georgetown.edu. Georgetown University is an equal opportunity affirmative action employer. We are committed to diversity in the workplace. If you have any questions, call the CALS Office Manager at (202) 662-9565 or e-mail to calsclinic@law.georgetown.edu.